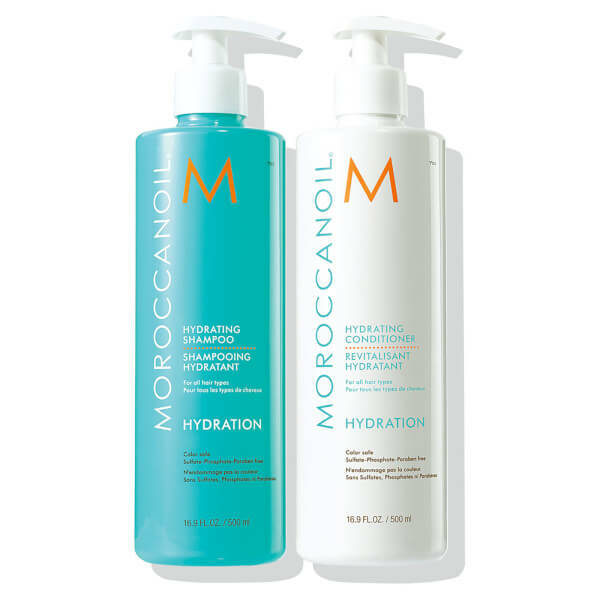 The Moroccanoil® Hydrating Shampoo and Conditioner 500 ml Supersize Duo (worth £67.60) is specially formulated to infuse thirsty locks with high-power hydration. Enriched with argan oil and vitamin-infused daily-care formulas. This hydrating shampoo revives dry strands with an antioxidant-rich blend of argan oil, vitamins A and E and moisture-attracting red algae. Gentle enough for daily use, it provides optimal hydration for both normal and colour-treated hair. Expect hair that looks and feels healthier, with increased manageability, smoothness and shine. Colour-safe and free from sulphates, phosphates and parabens. Detangle and rehydrate parched locks. 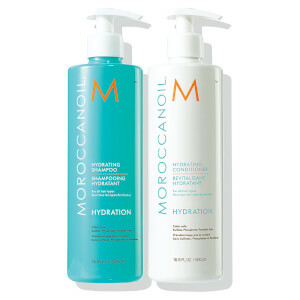 This hydrating Conditioner is a gentle, daily-use formula that leaves hair smoother, more manageable and easier to style. Infused with antioxidant-rich argan oil, vitamins A and E and moisture-attracting red algae for optimal hydration and conditioning. Colour-safe and free from sulphates, phosphates and parabens.